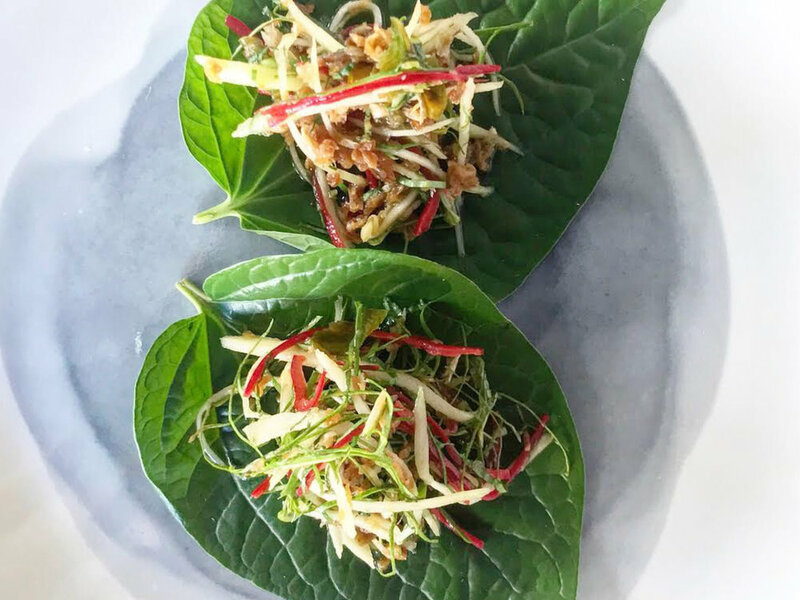 Part farm, part residence, part innovative enterprise, Oaks Kitchen & Garden Cooking School located 15 minutes south of Port Douglas smack bang in amongst a thriving rare and tropical produce plantation bordered by an abundance of coconut palms. 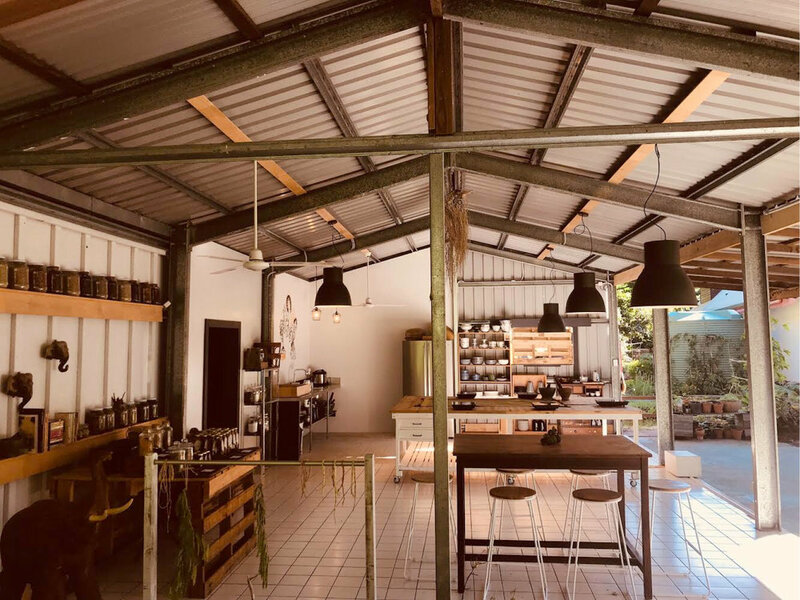 It’s this spot here where Ben Wallace, former chef at Longrain Melbourne, and his partner Rachael, have taken up farming on a four-acre property where they grow tropical vegetables, fruit and herbs, produce spices and host cooking workshops. Conveniently located a stone’s throw from the luxurious Thala Beach Lodge, it takes less than an hour from Cairns city to get here yet feels like a complete escape. 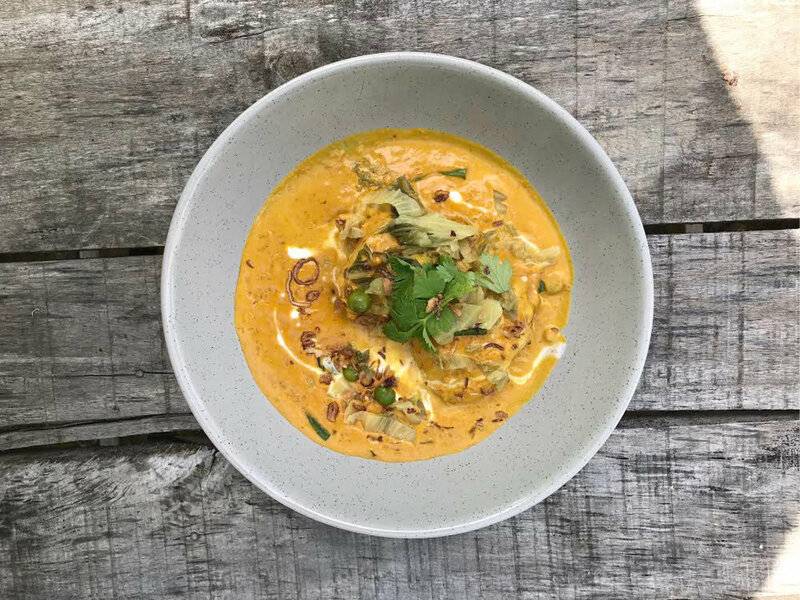 Whether you’re a Masterchef or more of a burn-your-toast kind of cook, Oaks Kitchen & Garden provides an exceptional experience in South East Asian cuisine designed for all confidence levels. The classes are intimate with a maximum of 8 people at any time, so are perfect for couples and small getaway groups. Guests are invited to ask Ben and Rachael any questions about South East Asian cuisine and culture, cooking techniques and sustainability as they chop and muddle their way to culinary decadence before sitting down to a banquet feast of their creation. 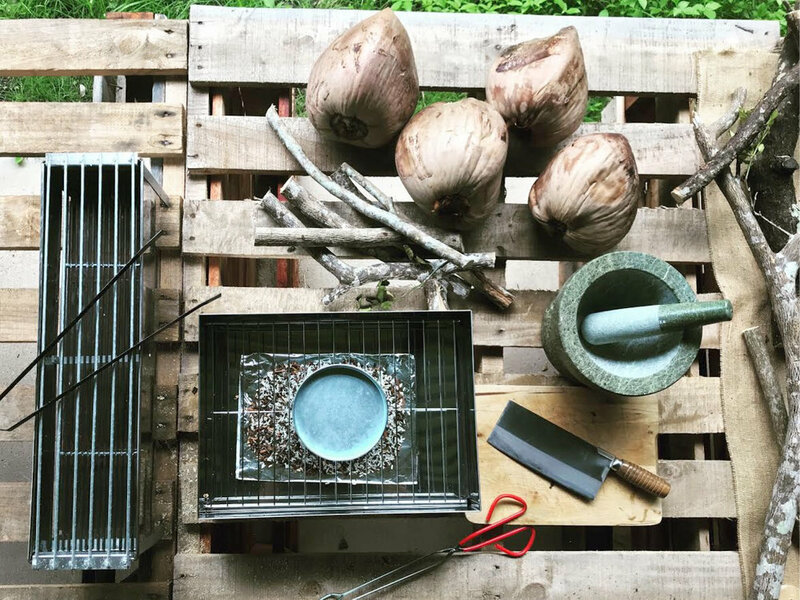 We sat down with chef & owner Ben Wallace (over home grown tamarind tea) to talk about a few of his favourite things. Q: What was the inspiration for your ‘teach a man to fish’ philosophy? I really enjoy sharing the knowledge to encourage creativity with ingredients you can grow in your own back yard or buy from your local market. Here in North Queensland, we are so lucky to have such an abundance of ingredients, many that are unheard of or at the very least not used often in southern states. Q: Favourite place in Australia to holiday (and why)? Tasmania for the amazing produce and whisky. And it’s cold. Q: You’re feeling lazy: what dish do you make for yourself? Q: Coffee or tea? How do you take it? Where’s your favourite place to get one? I’m a coffee man - black, no sugar, thanks. I like going to The Little Larder in Port Douglas. The owners there have a similar philosophy to cooking as we do, and it’s always good. Q: What do you consider a crime against good food? Vegan cheese is a crime. I don’t understand. Q: The ingredient you can’t do without? Life would not be right without fish sauce.